I swerved to miss a dog while driving for a pack of cigarettes and a pint of vodka resulting in a bad car accident a few years back and should have been killed. There happened to be a volunteer firefighter driving behind me when I went off the road. He pulled me out of the car then dragged me to safety before my car exploded and was engulfed in flames. I believe that it was a miracle I survived that night. 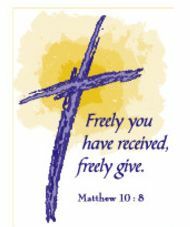 I have since accepted Jesus Christ into my heart (as well as quit smoking and drinking) and now spend my free time handing out Bible tracts and other Christian materials witnessing to members of my community and the surrounding areas.